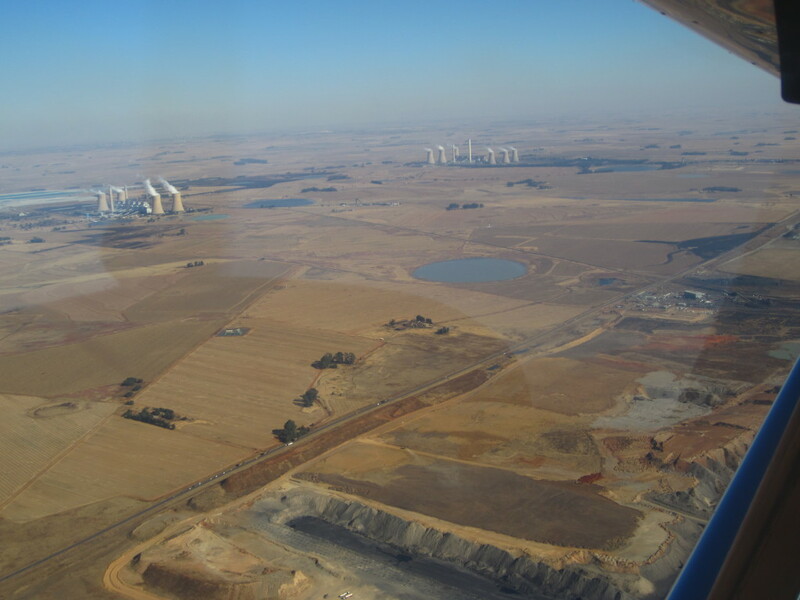 This is a slideshow of photographs taken from the air on two flights over the Mpumalanga Highveld undertaken by CER attorneys in June 2014 and May 2015. 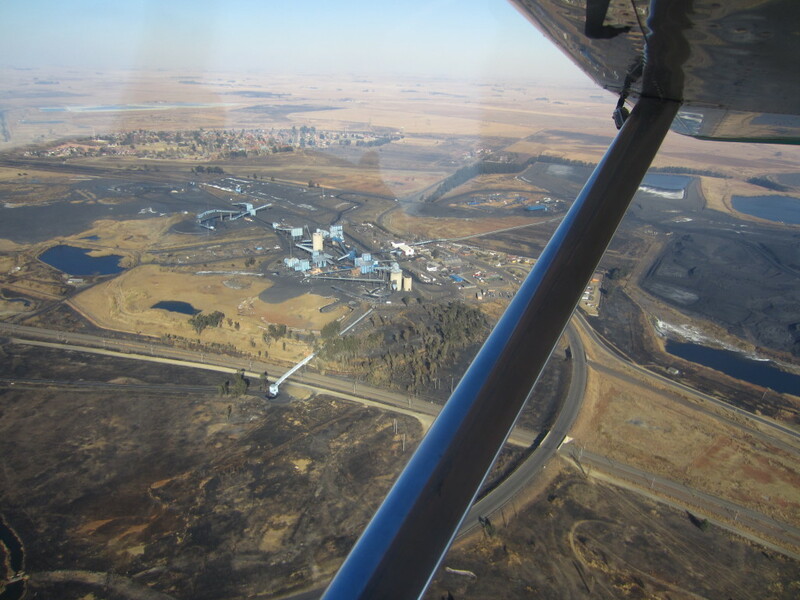 If you’re reading this on a mobile device and cannot see the images, take the time to go to our website and watch this slideshow. 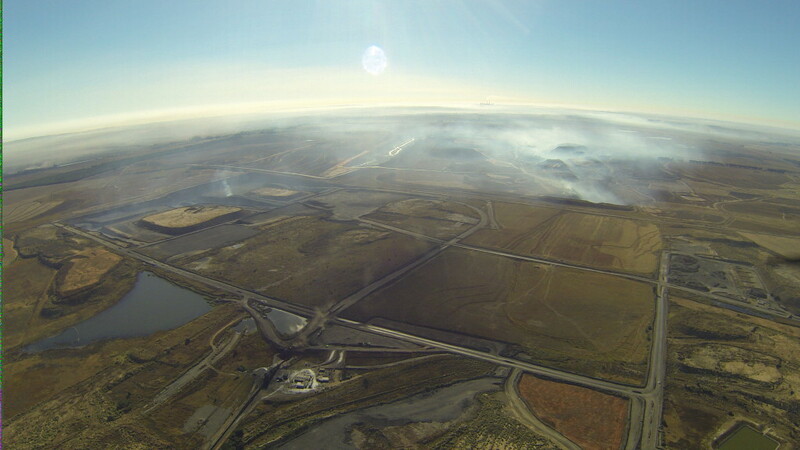 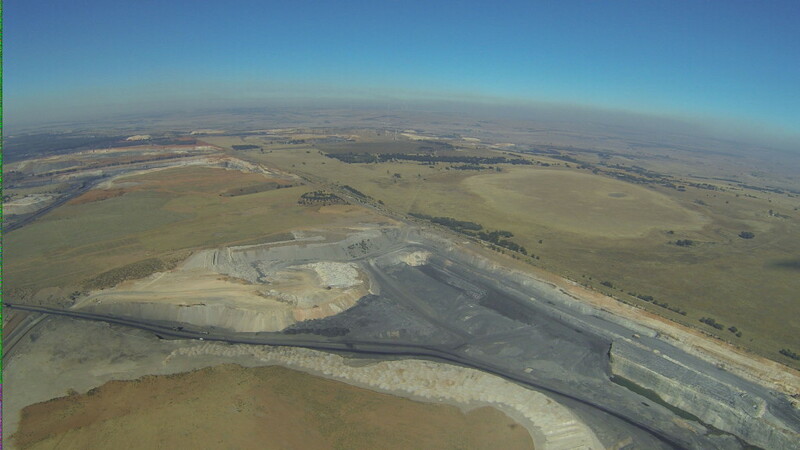 Air pollution obscures the view behind this vast open-cast coal mining operation. 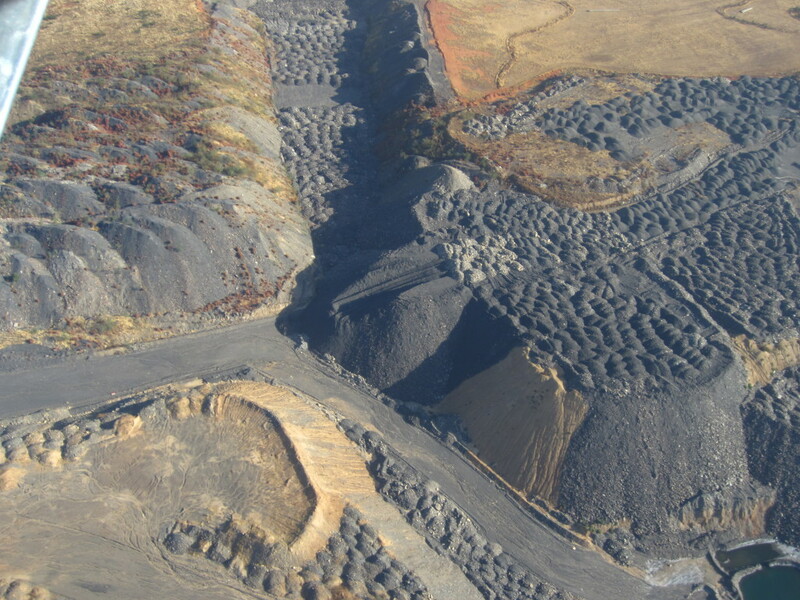 Huge overburden mounds at a coal mine near Arnot. 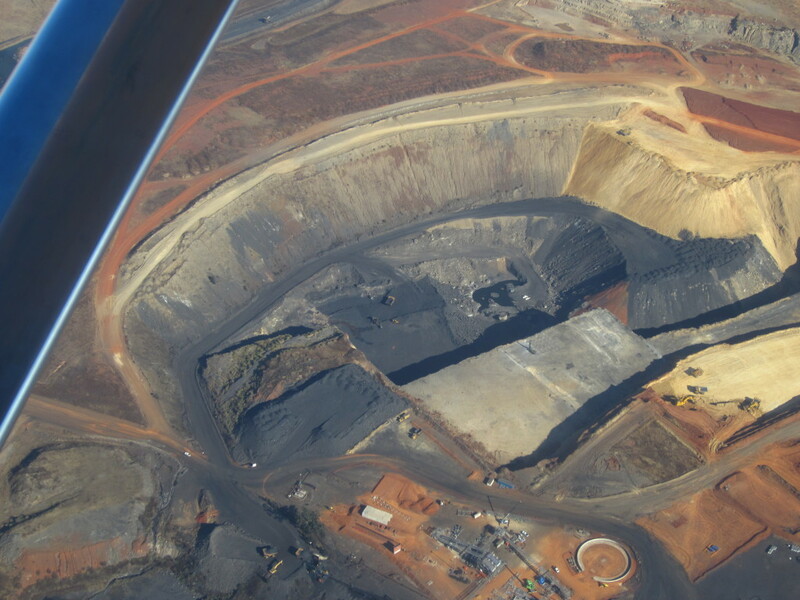 Mining companies are required as a condition of their mining rights to carry out "concurrent rehabilitation", i.e. 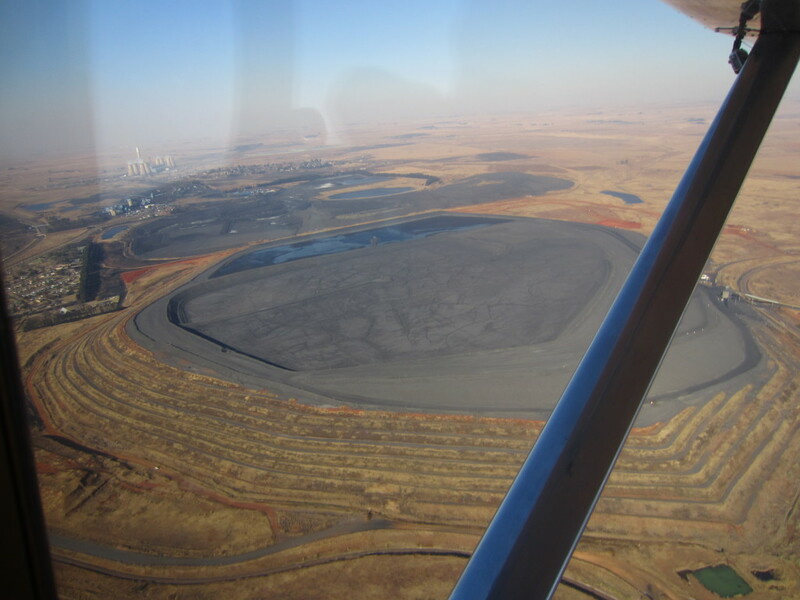 to rehabilitate old pits while digging new ones, but it appears that in many places on the Highveld this is not taking place. 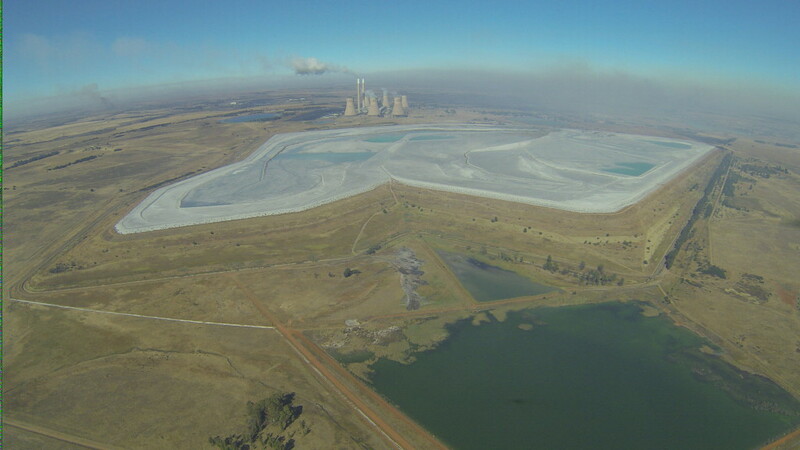 A giant ash dam at an Eskom power station. 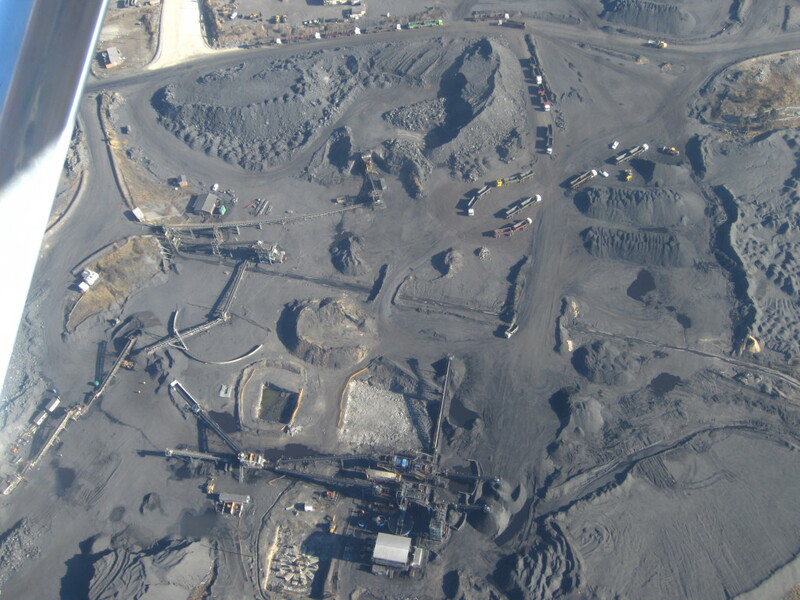 "Fly ash" is the ash produced by the burning of powdered coal. 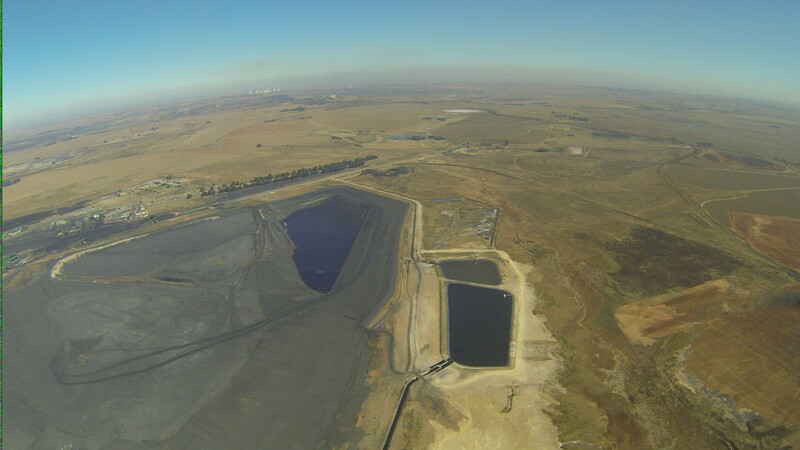 Eskom stores this waste product in enormous "dams" next to power stations. 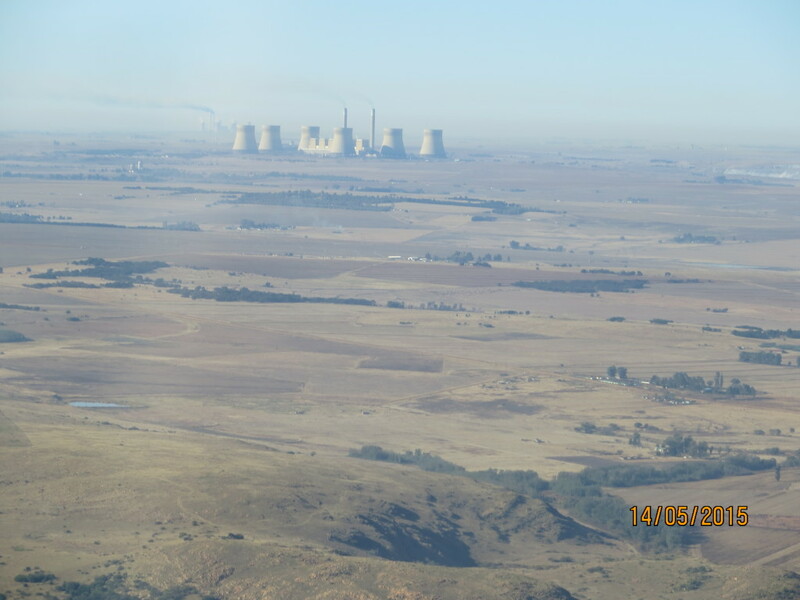 Two Eskom power stations visible through the smog. 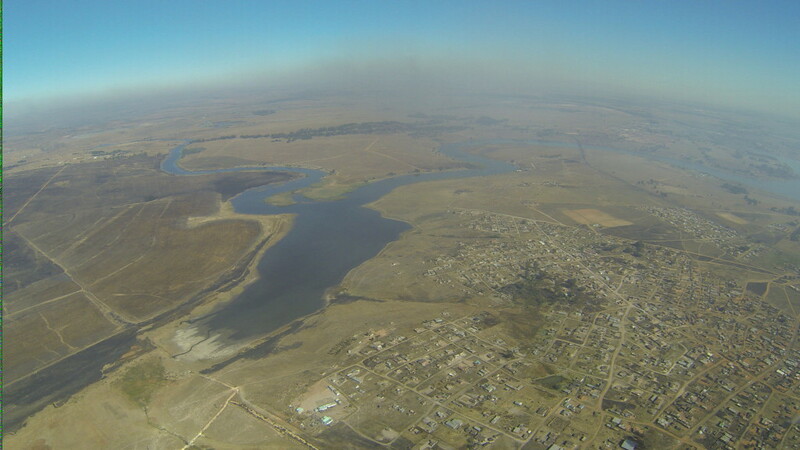 A thick layer of smog is the norm over the Highveld. 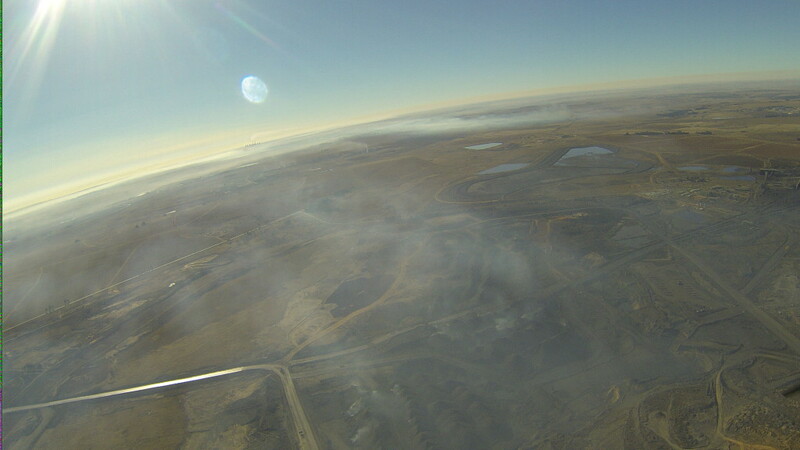 Pollution hangs over the horizon. 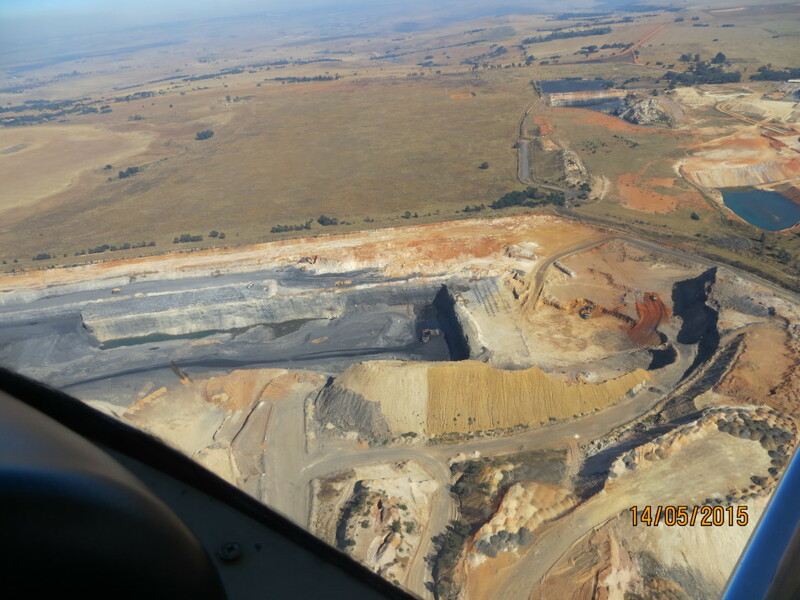 The proximity of coal mining to fresh water resources is evident from the air. 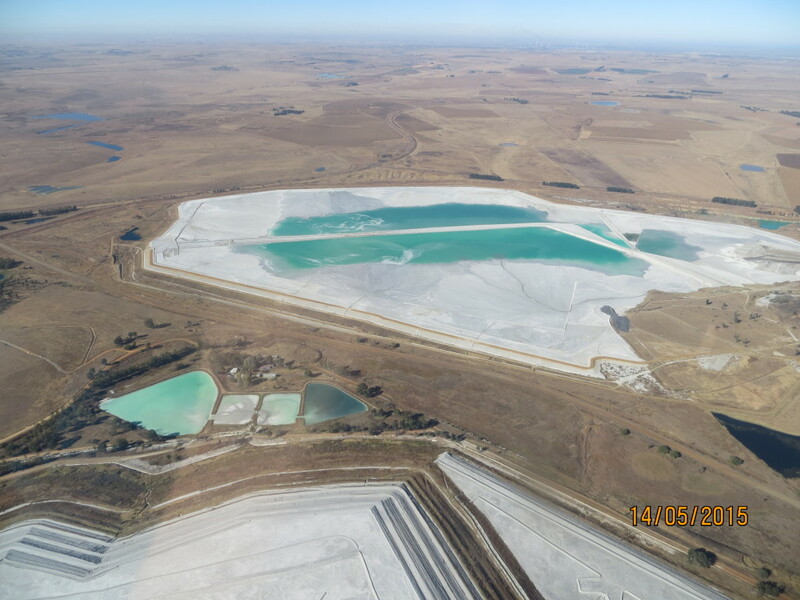 Acid mine drainage, which is prevalent in Mpumalanga, results in elevated acidity and toxicity levels in fresh water sources. 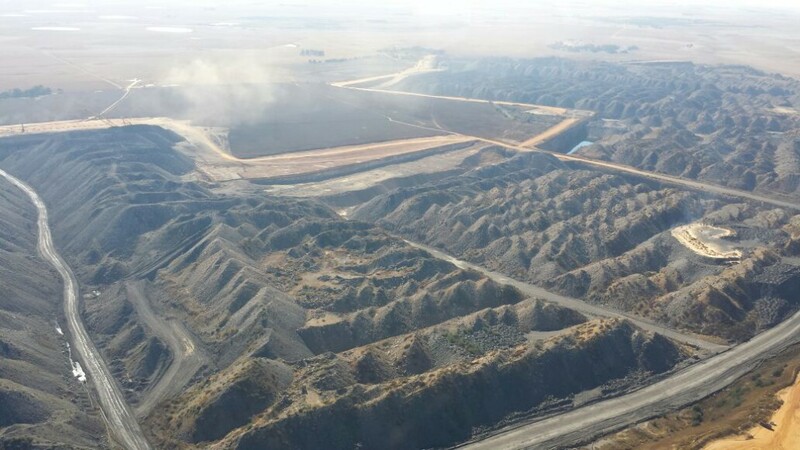 The appalling air quality on the Highveld is caused by a combination of toxic emissions from Eskom power stations and big industry like Sasol, coal dust, dust from the thousands of coal trucks that constantly traverse gravel roads, and domestic coal-burning. 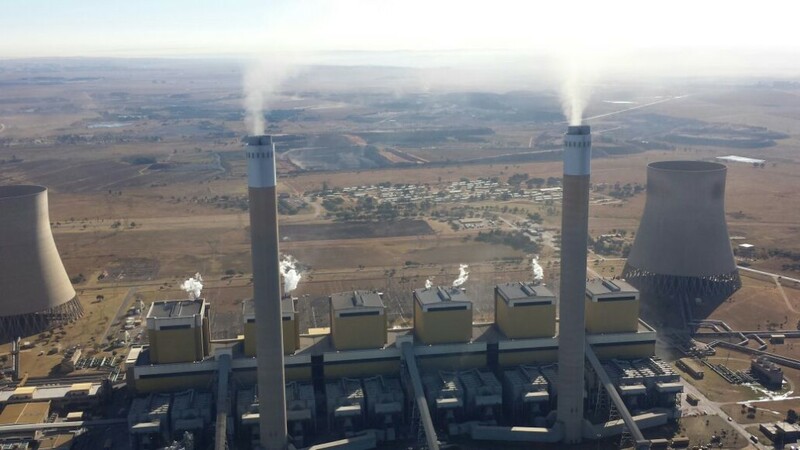 Eskom's power stations emit a combination of SO2, NOx, particulate matter, mercury and other toxic pollutants. 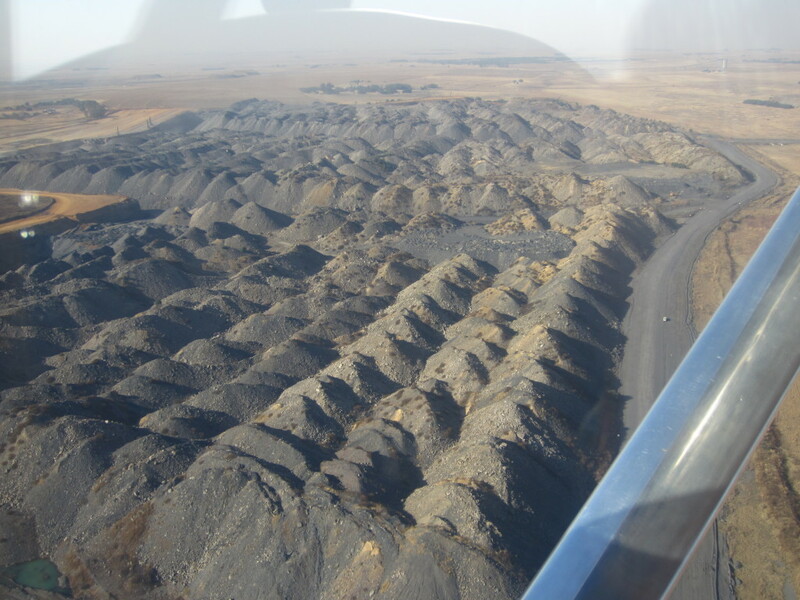 Most of the roads used by coal trucks are gravel. 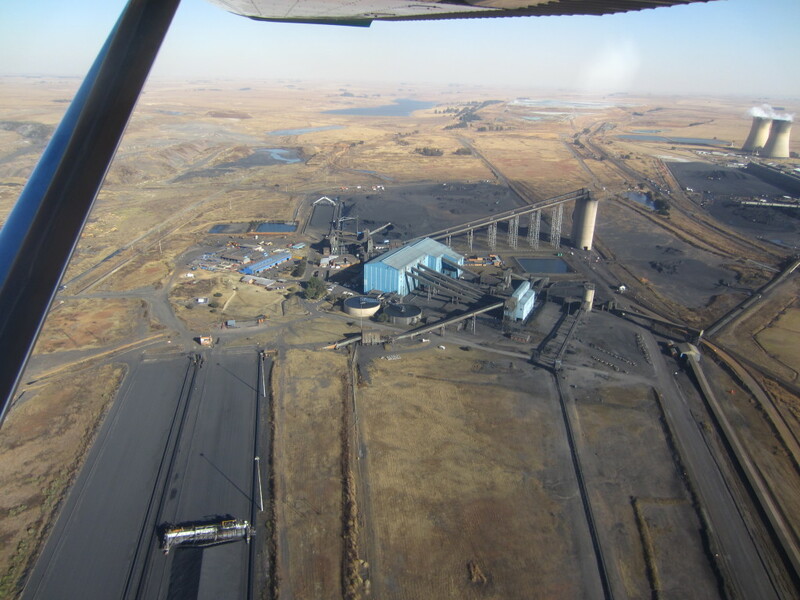 The dust kicked up by these trucks, combined with the coal dust from their loads, smothers vegetation on the haul routes. 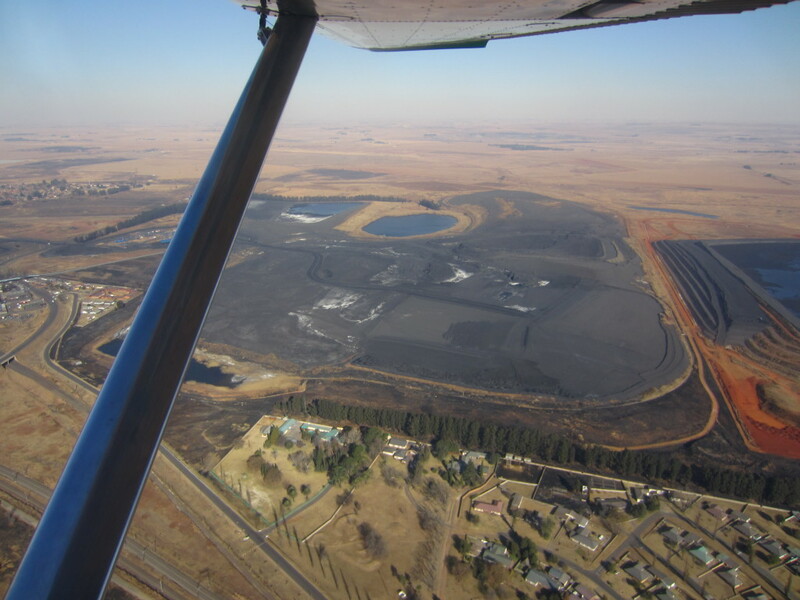 Across vast tracts of Mpumalanga, coal mining has subsumed once-fertile agricultural land, and it continues to encroach relentlessly on farms across the province. 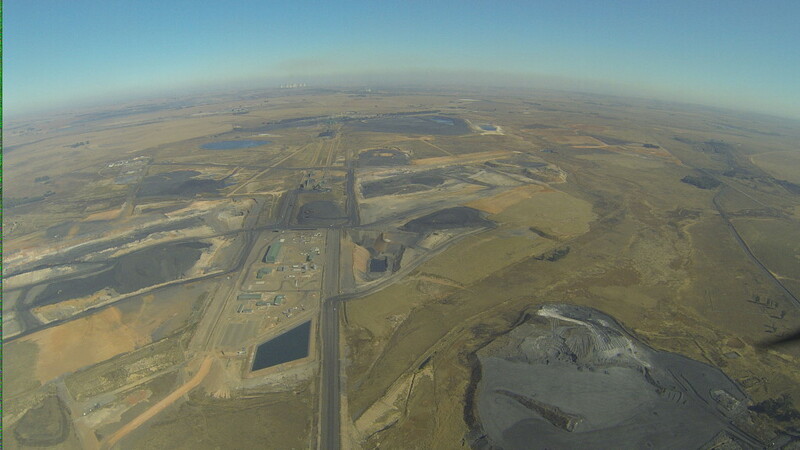 Another power station is just visible on the horizon. 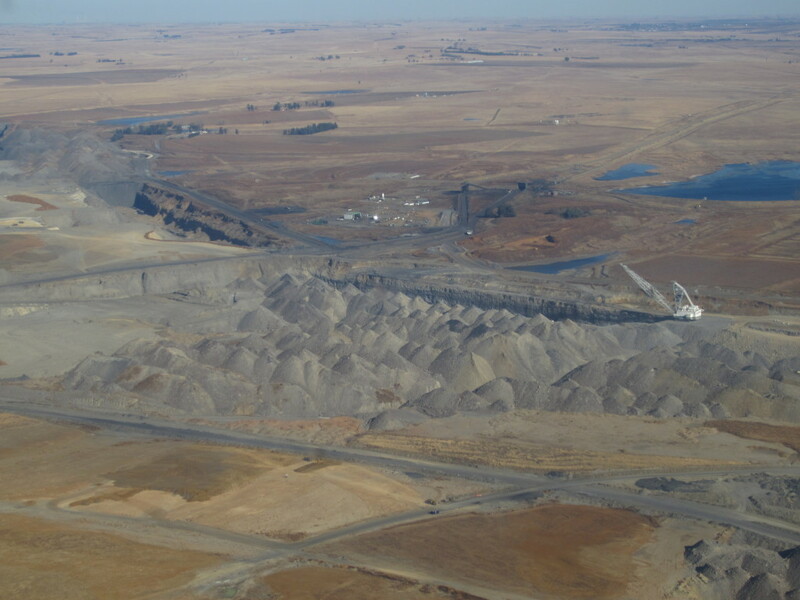 Dragline excavators move hundreds of tons of earth in a single cycle. 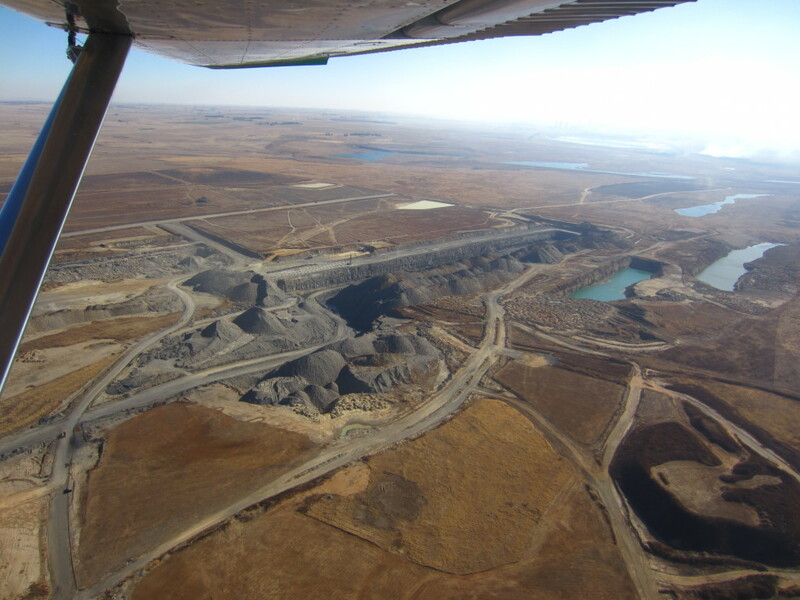 The landscape is transformed by opencast coal mining. 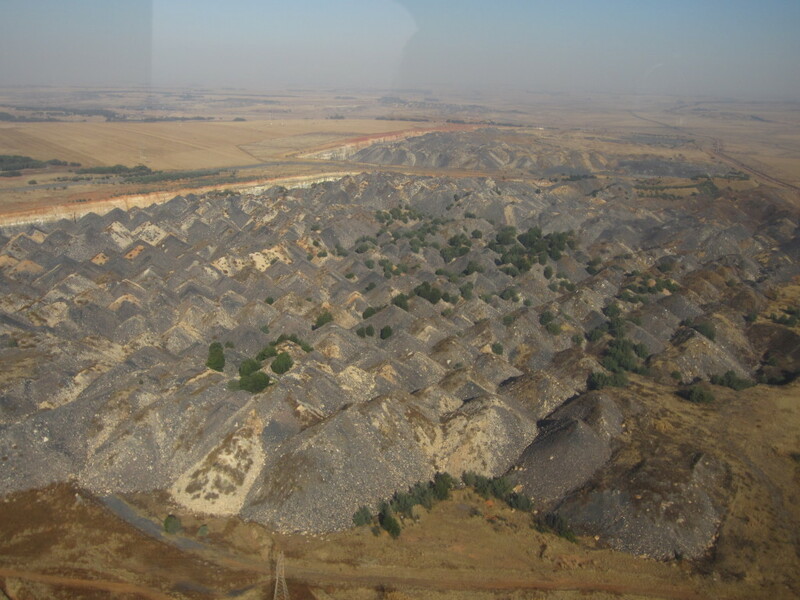 Piles of overburden lie alongside scarred and sterile "rehabilitated" land. 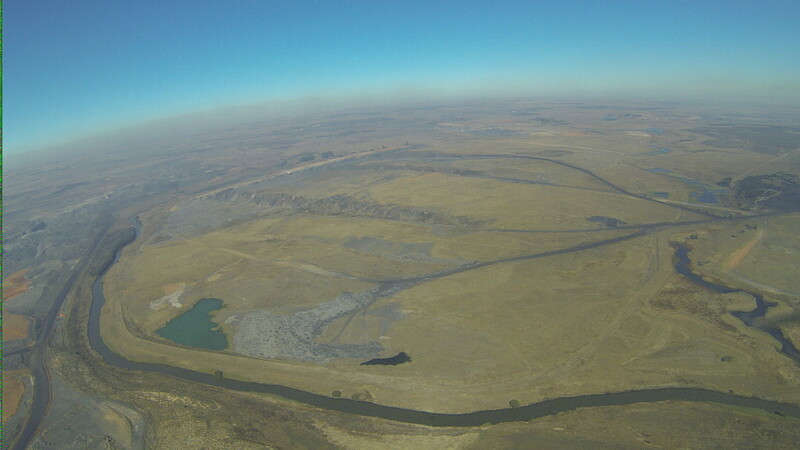 An unrehabilitated coal pit cuts through the landscape. 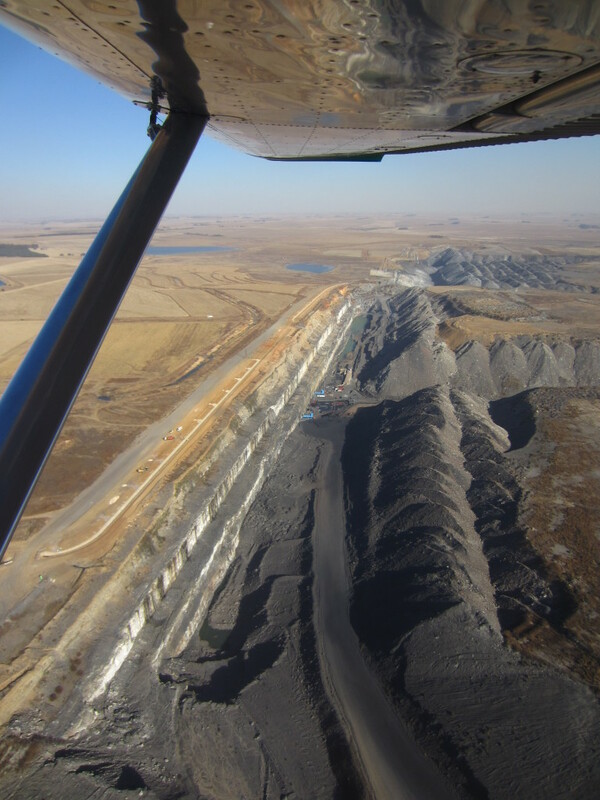 Water seeps into coal pits and becomes toxic. 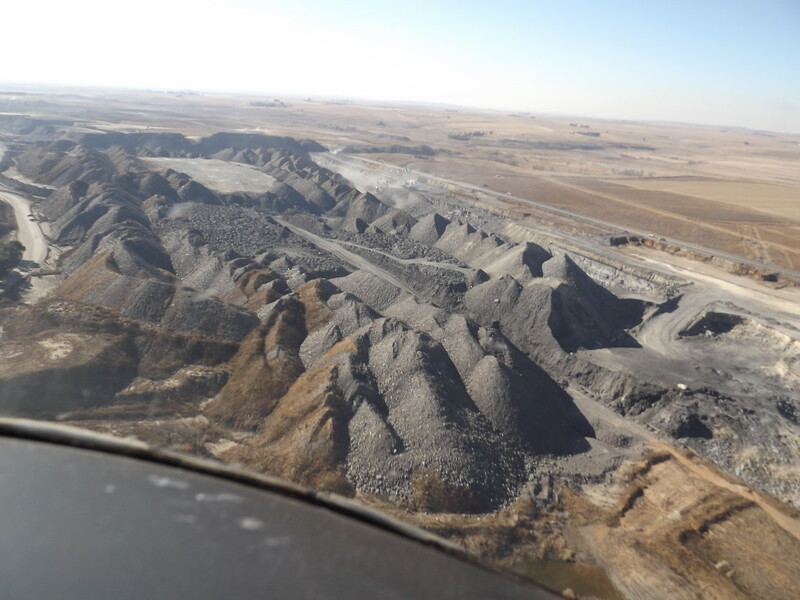 The unrehabilitated discards of open-cast coal mining. 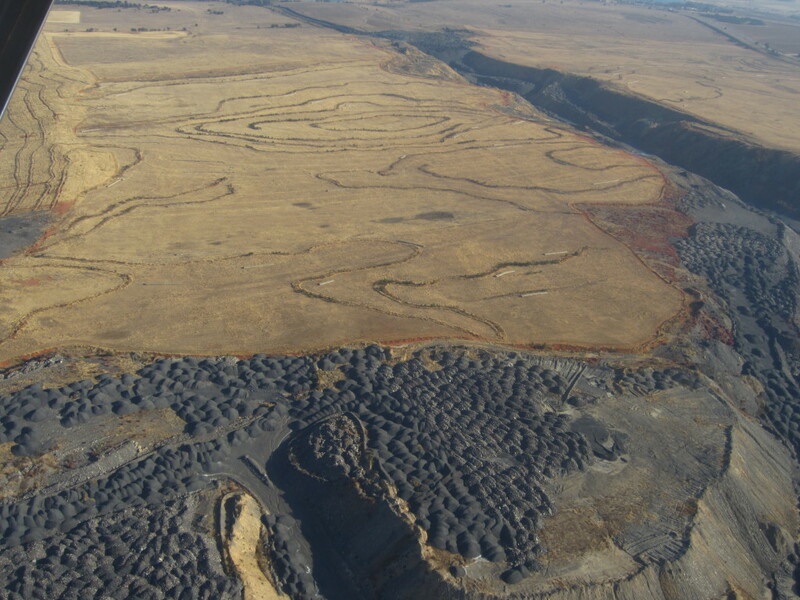 Open-cast coal mining cuts a vast swathe through the grasslands. 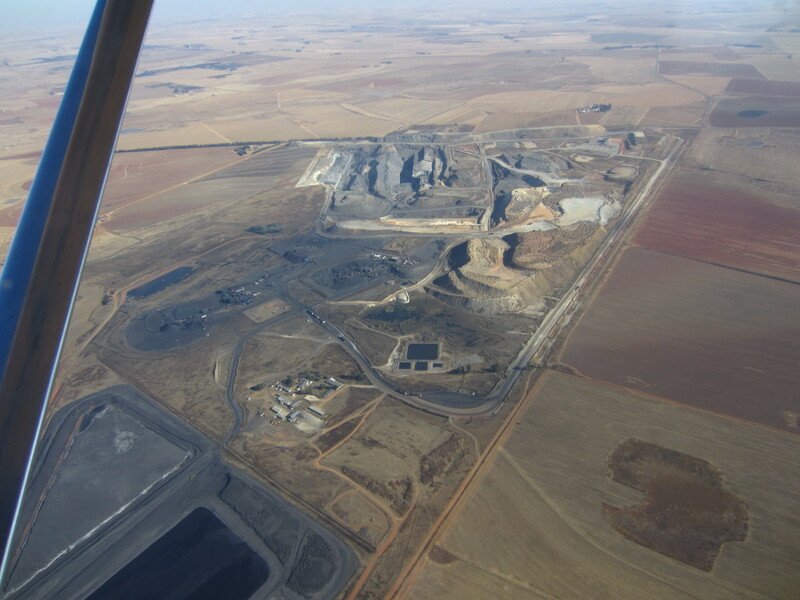 Coal-feed to an Eskom power station. 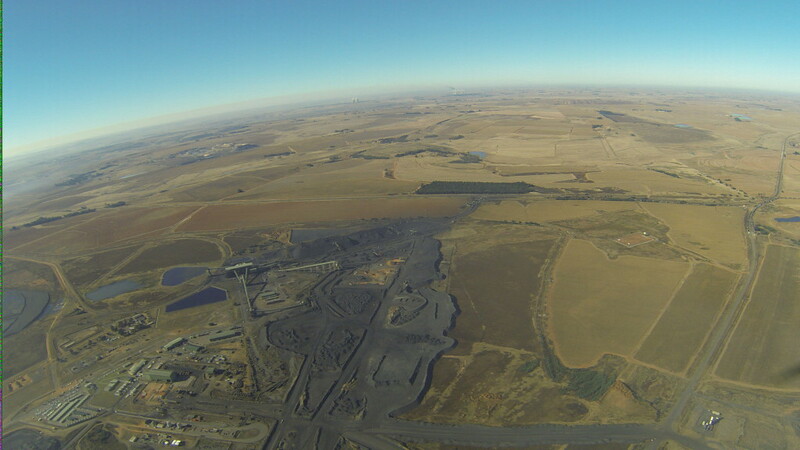 An Eskom power station and its surrounds. 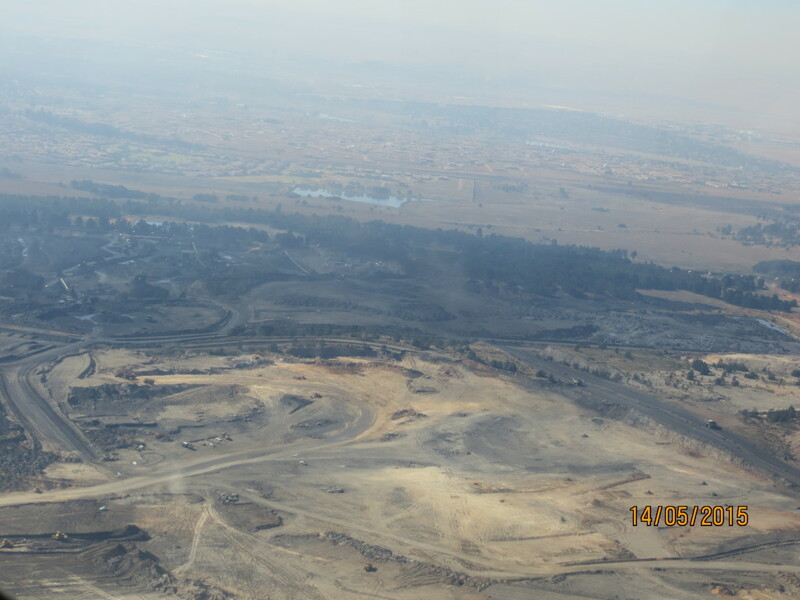 People who work at and live near Eskom's power stations are exposed to high concentrations of particulate emissions. 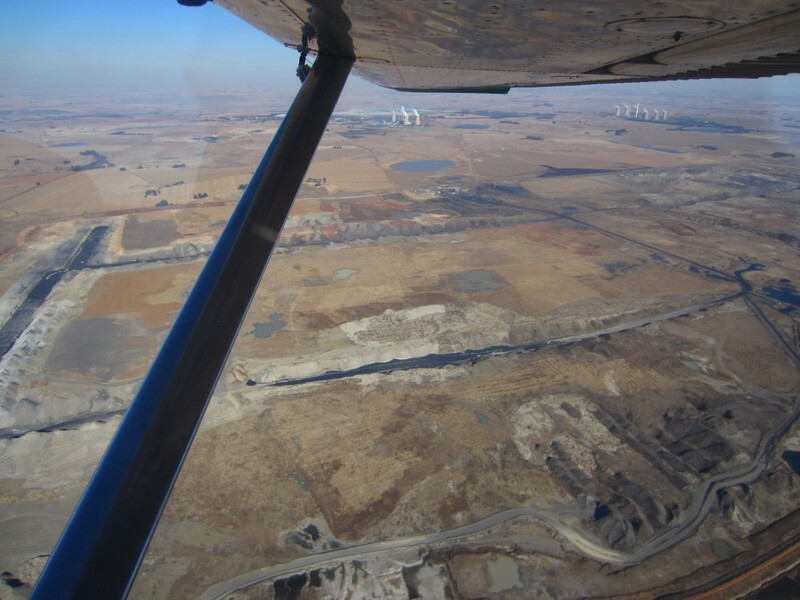 The extraordinary proximity of Eskom's 12 Highveld power stations is striking from the air. 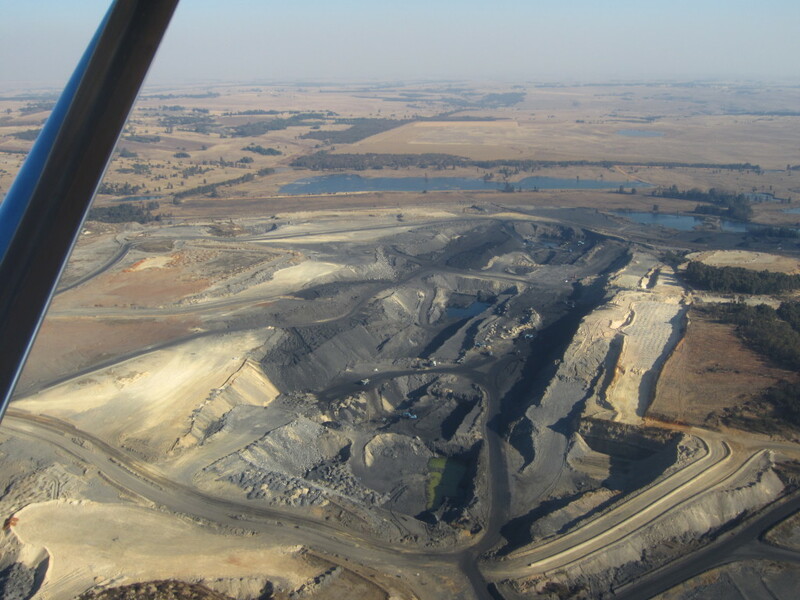 This image, and the next, show clearly how strip-mining devastates huge areas of land. 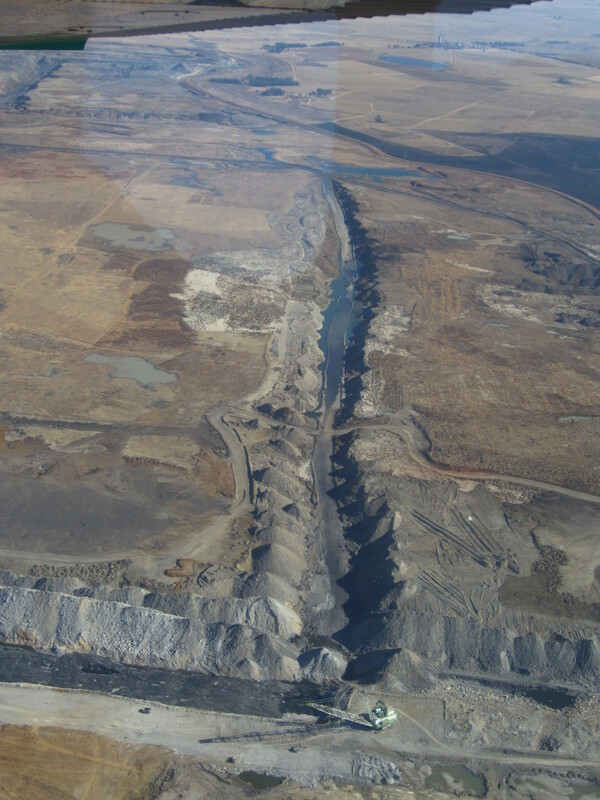 Water seeping into an open coal pit. 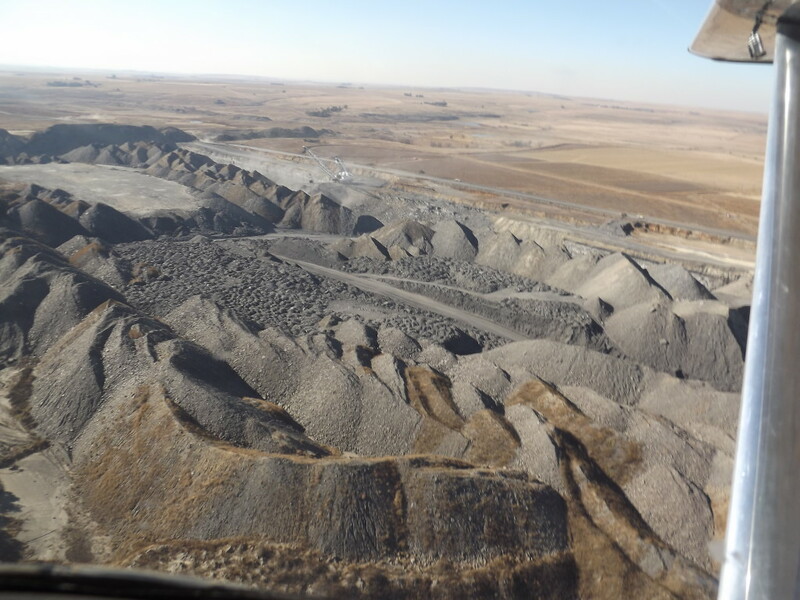 Dragline excavation creates huge piles of overburden. 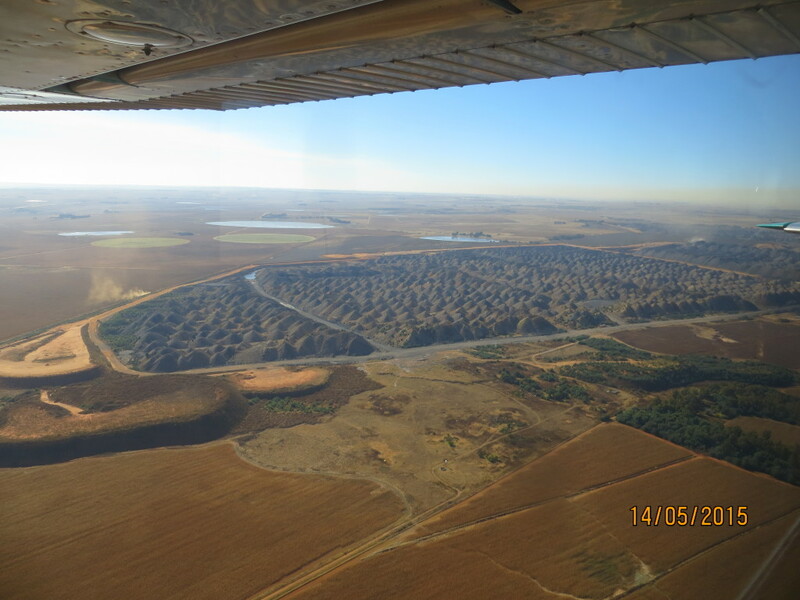 In June 2014, CER Attorney Tracey Davies was taken on an eye-opening flight over the Mpumalanga Highveld by former SAA pilot Karl Jensen, now a volunteer pilot for the non-profit Bateleurs: Flying for the Environment in Africa. 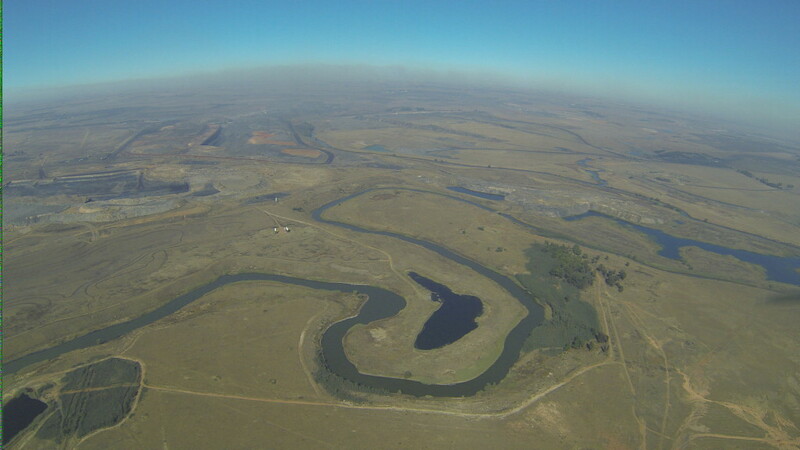 In response, Tracey wrote an article – Mpumalanga is in an environmental crisis – why is nobody listening?­ that received widespread media attention for expressing the concerns of many of the people who live and work on the Highveld. 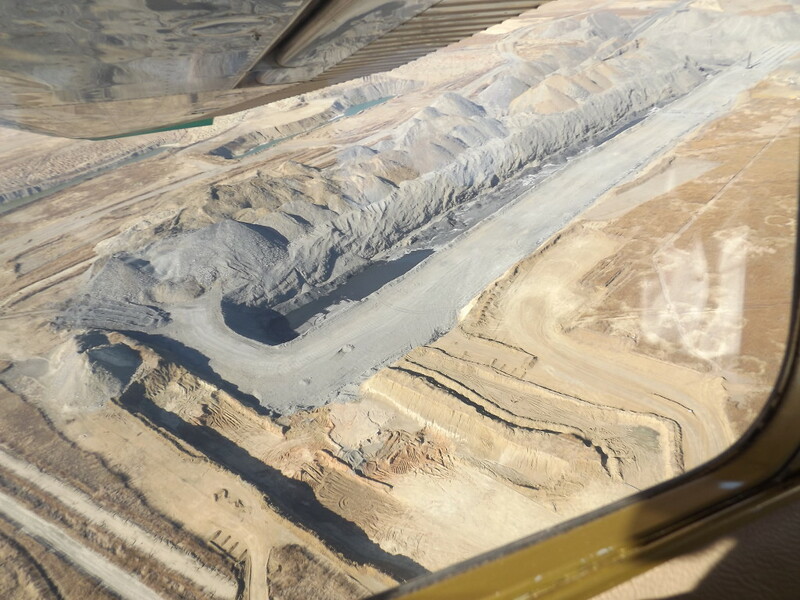 Last week, the Minister of Environmental Affairs told Parliament that the government’s policies are “pro-poor” and “pro development”. 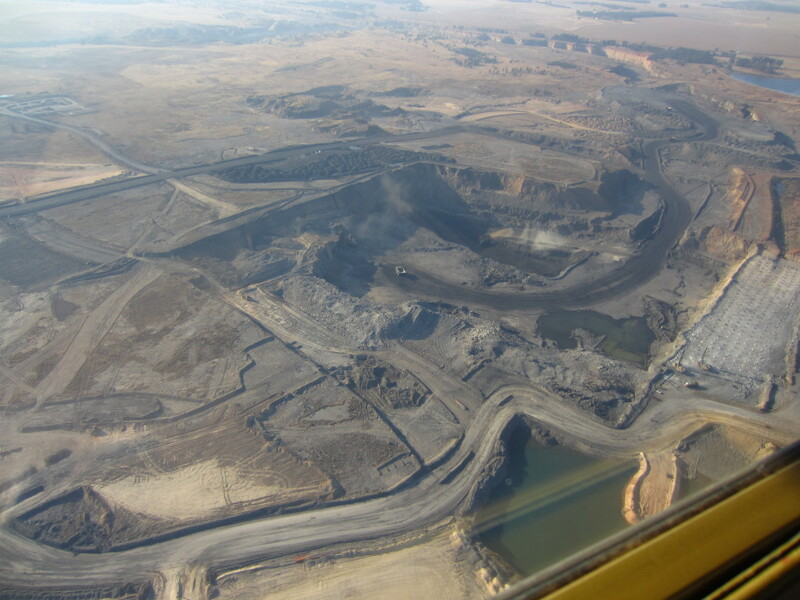 Look at these pictures, consider those people who have to breathe this air, and who rely on water downstream of this devastation, and judge for yourself. 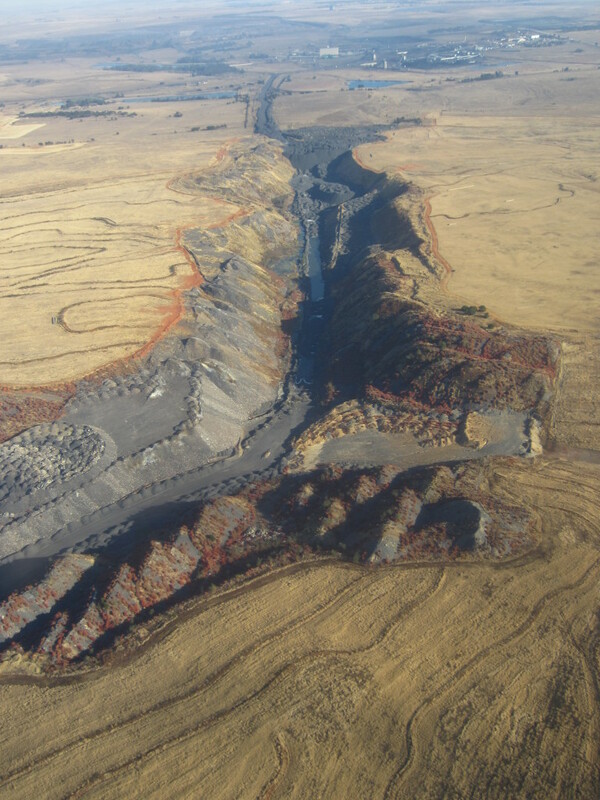 The Mpumalanga Tourism & Parks Agency has just launched an interactive map of all development applications in Mpumalanga, including for prospecting and mining (see pink and red areas respectively), received for comment by it between 2000 and 2015. 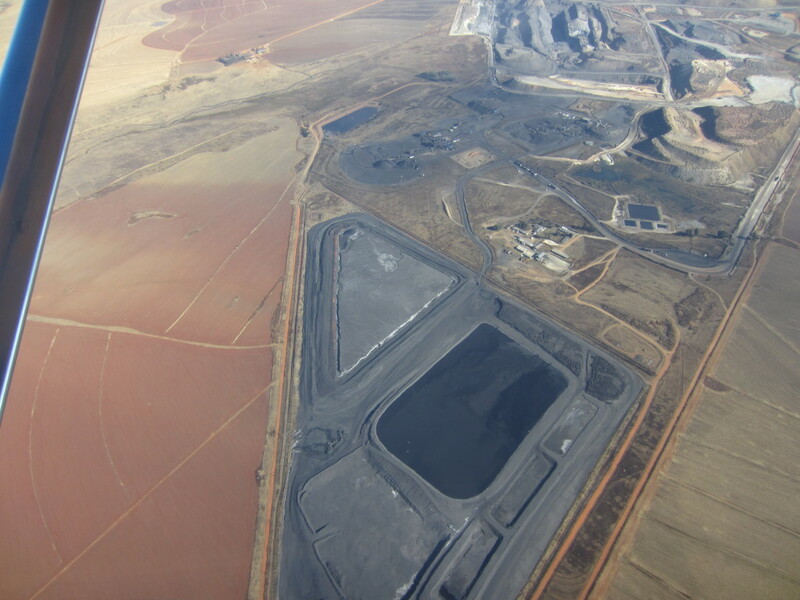 The map makes abundantly clear the extent to which coal prospecting and mining now dominates land use on the Highveld.